Are there any bike manufactures that make a scooters or motorcycles that use normal fuelling system like what is used on Volt? I don't like going under the seat to find cord and find outlets any more. Just so easy going to Coulomb charging station and swipe card and plug it in like an ICE vehicle at a Gulf or Shell gas station. I think the Zero uses a cord like the Vectrix. I switched over to J-1772 now and would like all my EVs to be uniform. 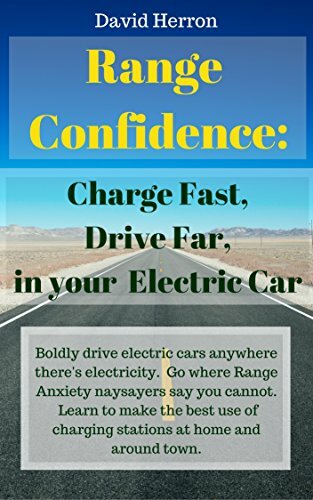 The volt and most cars use a port which is accessible to view and fuel up and sees it is connected. Driving off is almost easy to do on VX-1 cord dangling out from under seat. I have done that. If one wishes to charge via J-1772 then there are conversion kits available to change it to standard house outlets. If I can remember using J-1772 to charge can keep one from driving off with fuelling cable attached? The Volt won't start with cable attached. Most vehicles can be charged in under three hours anyways using level 2 charging. Brammos have a charge port (rather than a lead), apparently all mounted in the 'tank' area; the larger models appear to have J1772 and the smaller ones an appliance-type plug in mains cord. Again, some Zeros appear to have J1772s, others Vectrix-like arrangements. I don't know how you could have ridden off on your Vectrix with your cord plugged in as the mains voltage prevents the motor from running. Perhaps you had switched the socket off but left the plug in? Anyway, if you are looking at wanting to charge with 110 or 230 /240VAC only then you could fit a J1772 socket quite easily. You need the socket and a gizmo to 'talk' to the EVSE. http://modularevpower.com … and the gizmo is called 'AVC2'. Now if you want ChaDeMo connection, I can't help, but both Zero and Brammo offer the ChaDeMo connection as an option ($2k-ish) so it must be possible but I know its comms with the EVSE are CAN bus-based… If anyone knows of an AVC2-type device that will allow one to retro-fit an EV with ChaDeMo, I would be very interested to know about it! An adapter is also pretty easy and cheaper to build yourself. if I recollect, vehicle-side of the the J1772 pilot signal circuit is just a diode and resistor of a certain value. Wikipedia describes the J1772 standard pretty well. Driving of is easy on a timer outlet. In the three or four years I owned my VX-1 scooters, I have noticed when they sit for 6 weeks they have a dead pack even though it is 5 bars down. I always leave it plugged in a timer outlet to turn on for 3 hours once a month. I have tucsonev dot coms J-1772 under the seat for the Coulomb charging station. If I back my scooter in via shielded cord and close the seat, it is so easy to drive off. It will charge if timer says times up and charge for predetermined time. Never to allow 3KW a month. Strict diet. I am on my third power cord and I should come up with a better charging tecnique for my scooters. At least at the Charging station, I am there for a reason, charging. My garage is for both charging and keep rain molecules off my scooter. The EV place in Florida sells a charging kit too but you need a 9 volt to 12 volt battery to fake out J-1772 to charge VX-1. That is why I got TucsonEV kit with 3 foot 8 or 10 AWG cord going to my Leviton NEMA 5-20,6-20 outlet. Now they make a kit that you can design into a vehicle with a built in charger. The gray 4” box has a switch and a power on LED to let you turn on and off power to vehicle charging. Most motorcycles and scooters use a DC-DC converter and that means you have to have converter on in order to have signal of 1000 Hz to process J-1772? I have to call tucson EV and ask if something has to be done to keep it safe and like it was to be designed, not to drive off while charging. I am going to invest in a level 2 charger and hopefully I will see big angled plug in top of fuel tank? Or where ever I place receptacle on my scooter. Cars and SUV's have a SLI battery of some decent capacity to run 4 ways and cigarette lighter for cell phone charging and GPS but scooter use DC-DC. You can design a better and safer charger but some one will find a way to do it different and maybe not as safe. I needed to charge my friends Chevrolet 120 volt pack with 40 each T-145s. I hooked up a Lester, an American Monarch and two diodes to 100 Amp breaker with neutral being negative to pack. A wopping 107 Amp DC into pack. Safe? Hey 290 AH pack was hungry. I think C/2 is a nice dinner for PU truck. I don't do that all the time especially three chargers one being super bad boy type. Another bad thing about super bad boy charger is 50 amp on each of the hot leg and that means 100 amp on neutral and houses sometimes use reduced neutrals per NEC. I only want to buy a scooter that uses J-1772 properly wired, tested and safe in a motorcycle. Not using a good setup from AZ or FLA. I think Coulomb will shut off in two hours? I always leave in a hour so I never knew full charge times. then the “brake” and drive off. Maybe if the VX-1 is plugged in a normal outlet it might not start but I don't use my Vectrix like other motorcycle operators. It is more of a show piece and science project. Six weeks was my max for sitting without a charge and range of 25 feet till dead. So that is why I use a timer outlet and that way it resets pack fuel gauge. My XM-3000 uses Gel Cell pack and charges 24/7, maintaining 79.2 volts. The VX-1 has to charge at constant current and filling up to 3 or 4 KW. Sometimes I see 30 MPH after 3 hour mark. Once it died, dead DEAD and it also did 30 MPH charging for an hour. I was scared and unplugged it and re-plugged it in and it recovered to 110 MPH. I have adapters to get some juice in my vehicles whether it is safe or not but like to do “safe” if possible. I will not charge Lithium unless “safe” with BMS and stuff for I read too many horror stories for airplanes, Volts, and hobbyist doing what ever they do to make them burn. BTW this is what use for my vehicles, at the top of the page is mine. The next paragraph down in charger with switch but no box so it can be mounted in vehicle. Ask for Rush at tucsonev. Tucsonevs description of their adaptor is, IMO, rather misleading. There is no need for the adaptor to 'generate' any signals and I suspect that it does no such thing. All that is required are passive components in the adapter which modify the 1000Hz generated by the *EVSE*. It would be simple enough to install a J1772 (or Mennekes for that matter) port on the EV and the correct passive components plus a switch to provide a manual method of utilising a standard public EVSE and which would replicate the adapter but at half the cost assuming you have some basic electrical skills. It would also mean that you would not have to carry around a great lump of adapter. J1772 charging of a vehicle that was not manufactured with the socket is straight forward to do. You can have a socket fitted to the bike and wired to the built in charger. The J1772 standard is single phase. An electronic engineer would wire the socket for you. The other choice is an adapter lead. The standards are published here. A simple do it yourself article is here. A scooter with a socket fitted by the owner is here. In Melbourne we now have 8 charging stations available to the public and I can understand your thoughts that it would be useful to have J1772 charging on a bike.